Sice the establishment, we aim to cater Global Market in the field of agriculture Commodities, Food products and pharmaceutical products. 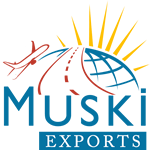 The promoters have wide experience in diverse fields namely export/import, agriculture, Real estate and chemical manufacturing. The new venture has been set up with focus to African Markets. Our prime focus is on agriculture Commodities.We export Rice, ready to cook food items, spices, pharmaceutical products and other commodities from India. We are strategically located in the state of Gujarat. We have very good access to Farmers and Millers, which gives us an edge for our Rice sourcing ability. We also export verities of Pastas and other ready to cook food products. Our associate plants are well equipped to produce such products in a very hygienic environment as per the International standards. Similarly, Gujarat is a hub for Pharmaceutical formulations. We share very good rapport with manufacturers. Our associate plants are fully complied as per global norms to manufacture formulations. As an importer, we import raw cashew nut, pulses and other commodities items from all over the Africa.